Future home and service robots will require advanced navigation and interaction capabilities. In particular, domestic environments present open challenges that are hard to identify by conducting controlled tests in home-like settings: there is the need to test and evaluate navigation in the actual homes of users. 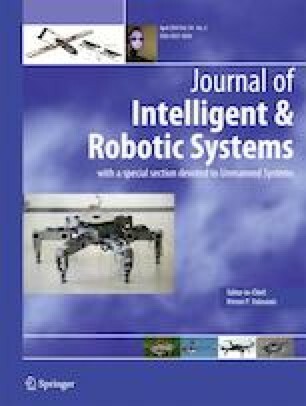 This paper presents the experiences of operating a mobile robot with manipulation capabilities and an open set of tasks in extensive trials with real users, in their own homes. The main difficulties encountered are the requirement to move safely in cluttered 3D environments, the problems related to navigation in narrow spaces, and the need for an adaptive rather than fixed way to approach the users. We describe our solutions based on RGB-D perception and evaluate the integrated system for navigation in real home environments, pointing out remaining challenges towards more advanced commercial solutions. The online version of this article ( https://doi.org/10.1007/s10846-018-0885-6) contains supplementary material, which is available to authorized users. We would like to acknowledge the contribution of all the project partners who made this work possible. Furthermore, Fig. 2. c) and d) were taken by Ammar Qammaz (Institute of Computer Science, FORTH) and Fig. 18. was obtained thanks to Susanne Frennert and Håkan Eftring (Certec, Lund University), who also recorded Online Resource 3. Lara Lammer (TU Wien) and Markus Weninger (AAF) additionally provided significant multimedia material. Astrid Weiss shared great discussions and advice. We are also very grateful to our elderly users. This work has received funding from the European Union Seventh Framework Programme (FP7/2007-2013) under grant agreement No 288146.